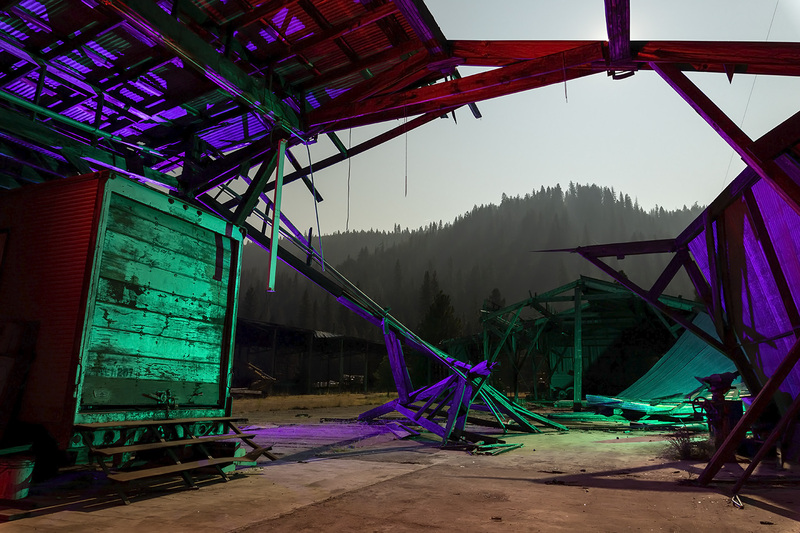 Back from a couple nights of shooting a buncha lapsed spaces, this time in the Northern Sierras, including this abandoned and partially torn down mill complex along the Feather River. With all the NorCal fires this summer, visibility was limited and the quality of light was strange and moody all weekend. Night, 258-seconds of full moon, with red, blue and green from the Protomachines flashlight. Maybe the purple, green and red one’s better, I dunno.